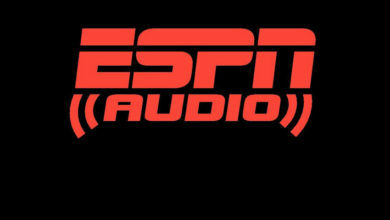 ESPN Podcasts Post Record-Setting Month in September - ESPN Press Room U.S.
ESPN Podcasts set a record for any month in September with 39.3 million IAB compliant downloads, breaking the record of 36.0 million set in May of this year, as measured by RawVoice. The number reflects an increase of 50% over September 2017. In addition, ESPN Podcasts tallied a total of 5.47 million US Unique Audience, as measured by Podtrac, an increase of 36% vs. September 2017. Leading the way among original productions, Fantasy Focus Football enjoyed its best month in its 10-year history, with just shy of 4.6 million total IAB compliant downloads, averaging nearly 162,000 IAB compliant downloads per episode. These numbers are also bolstered by fans watching the recording of the podcast which is now streamed live on Twitter. Overall, the list of top performers includes many ESPN Radio and television shows. The Dan LeBatard Show led the way with 8.2 million downloads, followed by Fantasy Focus Football, then First Take and 538: Politics at 2.8 million, Pardon the Interruption with a new monthly record of 2.7 million, Golic & Wingo at 2.2 million, Jalen & Jacoby at 1.3 and The Stephen A. Smith Show at 1.2 million. A number of other shows doubled downloads when compared to last September: The Paul Finebaum Show, Max & Herc, That’s What She Said, The Jump, Freddie & Fitzsimmons, Spain & Fitz, and Dari & Mel.